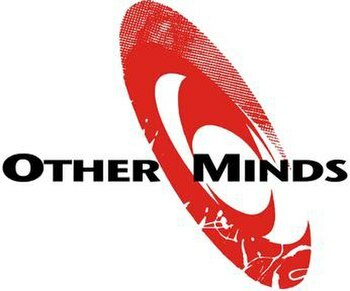 On February 28 and March 1 the SF Jazz Center will host Other Minds for the first time. OM 19 is the latest incarnation of this annual festival which presents an amazing range of new music. After our first festival in November 1993, we needed time to raise more funds to produce OM 2 and get back on the Yerba Buena Center’s schedule. So we postponed until March 1995, the next available spot in the Djerassi schedule. Our timing for the festival is determined by when we have access to empty rooms at DRAP, so we need to be there either in Feb/March or November. In 1997, once again, we needed time to raise more funds and simply postponed to the next available Djerassi time. Same for OM 13. 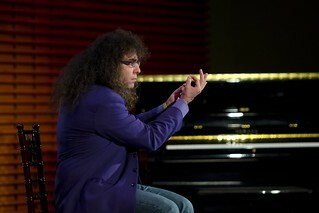 The Chicago born Mark Applebaum is currently associate professor of composition and theory at Stanford University. He counts Brian Ferneyhough, Joji Yuasa, Rand Steiger, Roger Reynolds and Philip Rhodes among his teachers. He also performs as a jazz pianist. He appears to be the first composer at these concerts to have given a TED talk. In this talk he speaks of being “bored with music”, at least with traditional music and how he used that boredom to break through to another level of creativity creating new instruments and elaborate scores. He is an engaging speaker and his presentation will no doubt be fascinating. John Bischoff studied at the California Institute of the Arts and Mills College. His teachers include Robert Moran, James Tenney and Robert Ashley. He is currently visiting professor and composer at Mills College. He is one of the pioneers of live computer performance and he is a frequent performer at the Garden of Memory concerts held annually on the summer solstice at Oakland’s beautiful Chapel of the Chimes. Mills College with its Center for Contemporary Music can be said to be the primary life blood of northern California composers. 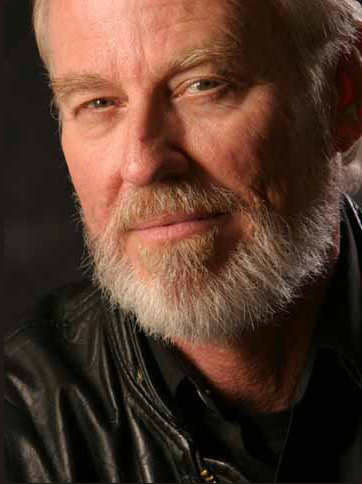 Bischoff is part of a long line of composers who have guided musical pedagogy in the Bay Area and have included Chris Brown, Luciano Berio, Darius Milhaud, Lou Harrison, Steve Reich, Terry Riley, Pauline Oliveros, Morton Subotnick, Ramon Sender, John Cage, Chris Brown, Maryann Amacher, Maggie Payne, Larry Polansky, Robert Ashley, and many others. Bischoff has released 16 albums and numerous publications. He founded the League of Automatic Composers, the first computer network band and continues to be a driving force in the computer music scene. 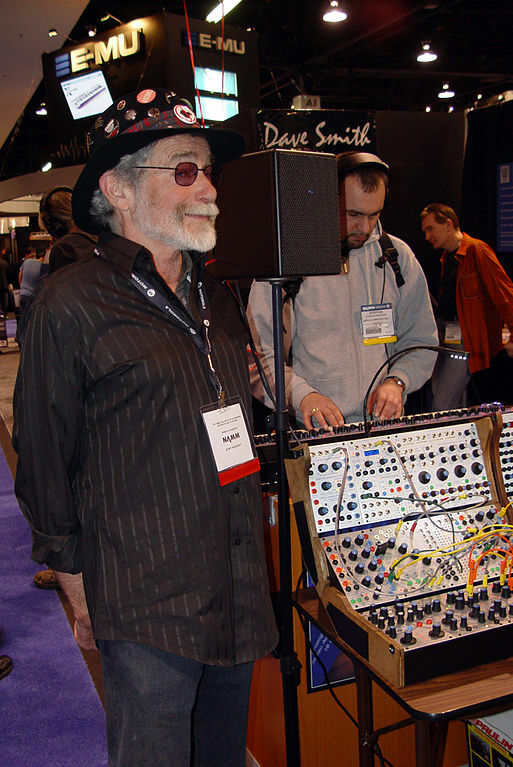 Donald Buchla is one of the elder statesmen of new music in California. His collaboration with Ramon Sender and Morton Subotnick produced one of the first modular synthesizers in 1963. 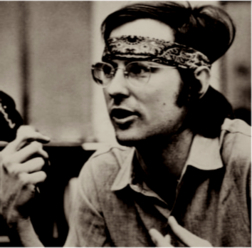 He continues to develop synthesizers with his Buchla and Associates corporation (founded in Berkeley in 1962) . He studied physics, physiology and music. His importance in the field of electronic music and music synthesis cannot be underestimated. His electronics have driven many classical, rock and jazz music. He and his corporation continue to make new electronic instruments such as the marimba lumina and the piano bar and has made available again some of the classic analog electronics which first made his name familiar to musicians worldwide. I was able to find very little about his musical compositions but it is worth noting that his electronics will power the performances of several of the artists in this concert series in addition to his own. Kentucky born Joseph Byrd is an electronic musician, composer and producer. His album, “The American Metaphysical Circus” (1969) is legendary and considered a cult album which has been reissued on CD and can also be heard on You Tube. His band, Joe Byrd and the Field Hippies never performed live but this work of 60s psychedelia has established itself as a landmark recording and a cult classic. He also did an album of synthesized Christmas Carols in 1975. Byrd has also been a producer with estimable credits such as producer and arranger of Ry Cooder’s amazing ‘Jazz’ album from 1978. I can’t imagine how his latest work sounds but I am looking forward to it. Charles Celeste Hutchins is, as far as I can tell, the first instance in which an Other Minds operating board member has been featured as a composer in this series. The advisory board consists largely of composers who have already been featured on OM concerts. Until this booking I was not aware of this man’s work. Hutchins worked in the dot com business for a time and is now working on his musical interests. 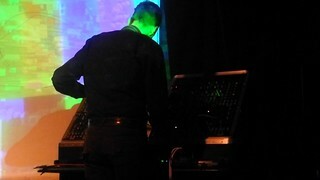 His work involves the digital music program called Supercollider which he uses to manipulate sounds. Discogs lists an MP3 compilation of some of his work in this area. 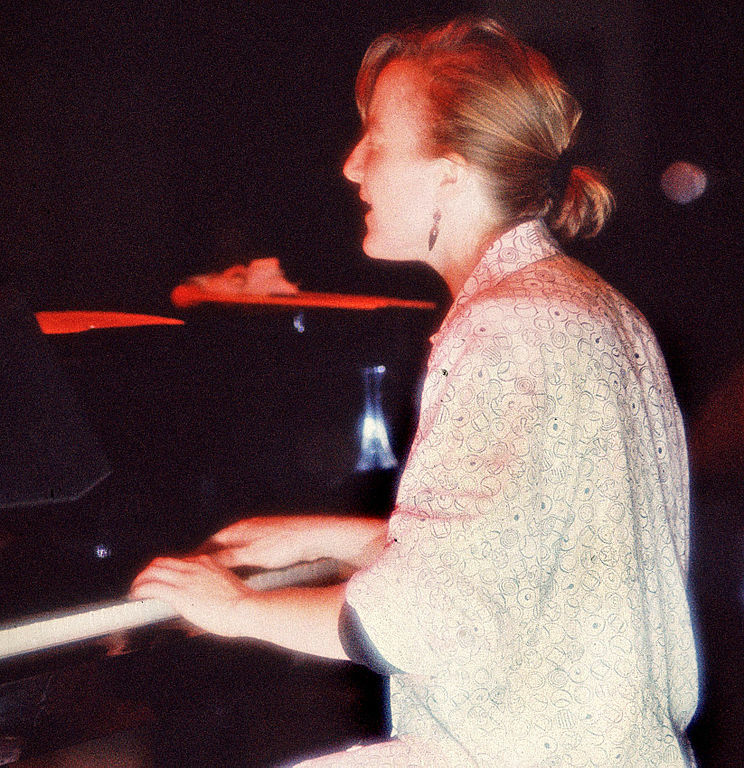 Myra Melford is an internationally known jazz pianist and composer with some 17 albums and some 20 years of playing. Melford is originally from Illinois. She has played with AACM musicians like Leroy Jenkins, Joseph Jarman and other musicians including Marty Ehrlich, Henry Threadgill, Mark Dresser, OM alumni Han Benink and Tyshawn Sorey. Currently she teaches at the University of California Berkeley. 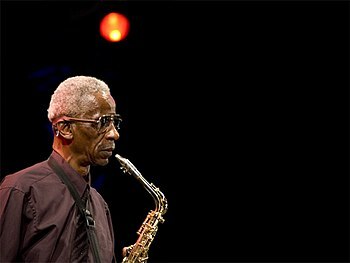 Roscoe Mitchell is one of the founding members of the venerable AACM (American Association of Creative Musicians) which redefined both jazz and contemporary classical music from its founding in 1965 to the present. Other notable members include Anthony Braxton, Lester Bowie, Malachi Favors, George Lewis and Lester Bowie among others. Mitchell is currently professor of music at Mills College where he holds the Darius Milhaud chair. He has collaborated with Frederic Rzewski, George Lewis, Anthony Braxton, Joseph Jarman, Malachi Favors, Muhal Richard Abrams, Albert Ayler, Henry Threadgill, Thomas Buckner and many others. Mitchell is one of the acknowledged living masters of American music and he plays and teaches widely. In 2012 her performed at the “All Tomorrow’s Parties” festival in Minehead, England. Any performance by this musician is an event. Wendy Reid is a new name for me. She is a composer who works with nature sounds. I did buy her CD entitled “Tree Music” which features 5 of her Tree Pieces with various combinations of violin, percussion, piano, mandolin, oboe and Don Buchla on “thunder” interacting with nature sounds. For her OM performance she will be sharing the stage with a parrot. Yes, it does sound like a Monty Python sketch, but this promises to be interesting if not revelatory. Her work is clearly concerned with the sounds of nature and is at least distantly related to the work of Pauline Oliveros whose album ‘Troglodyte’s Delight’ involves musicians responding to the sounds of water in a limestone cave. John Schott is another name with which I am not familiar. But lack of familiarity spells adventure in this series of concerts. A quick internet search reveals that he is a Berkeley based composer, guitar player and banjo player. His web site is a blog which reveals his interest in a wide range of musical styles and literary interests. He lists 8 CDs which feature his work. He also lists his “compositions in the classical grain”. It’s anyone’s guess as to what he will present at Other Minds but if the preceding artists are any indication it will be unique and interesting. All in all this promises to be a very exciting event with the ‘revelatory’ music which Other Minds uses as a tag line in their publicity materials. I won’t miss it and neither should you. This entry was posted in audiences, audiovisual, Berkeley, black composers, Chamber Music, Charles Amirkhanian, classical music, composers, Donald Buchla, electric guitar, electronic music, extended instrumental techniques, historical, jazz, Mills College, multi-media, music, new music, music, modern music, classical music, experimental music, new jazz, free jazz, john cage, composers, ONCE Festival, Other Minds, performance, Robert Ashley and tagged Arts, Carl Djerassi, Charles Amirkhanian, Charles Celeste Hutchins, Donald Buchla, John Bischoff, John Schott, Joseph Byrd, Mark Applebaum, Myra Melford, New Music America, New York City, Other Minds, Roscoe Mitchell, San Francisco, SF Jazz Center, Wendy Reid.